Unit and Formation cards play a key role in Team Yankee. Whilst building your army they contain all the relevant information that you need to know to help you build your Force, starting with what Formations are available, what support you can take through to how tanks you get in a platoon. 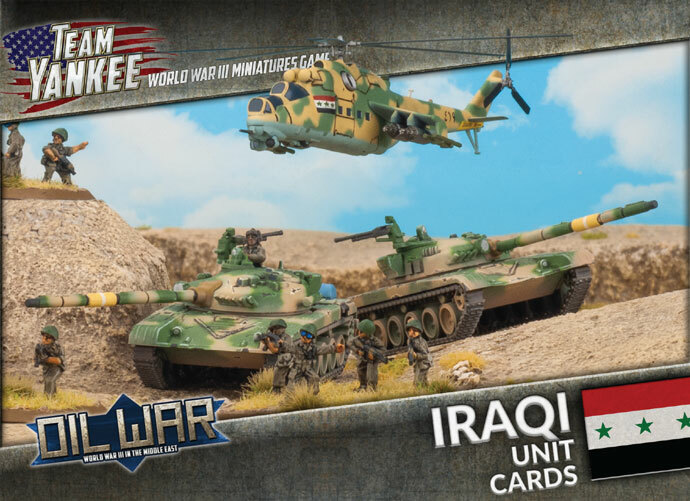 Then, once you start playing your games the Unit Cards have all the information you need to know from how much armour your tanks have to how fast the units move. If you don't want to lug around an army book then Unit Cards are the ultimate lightweight option! 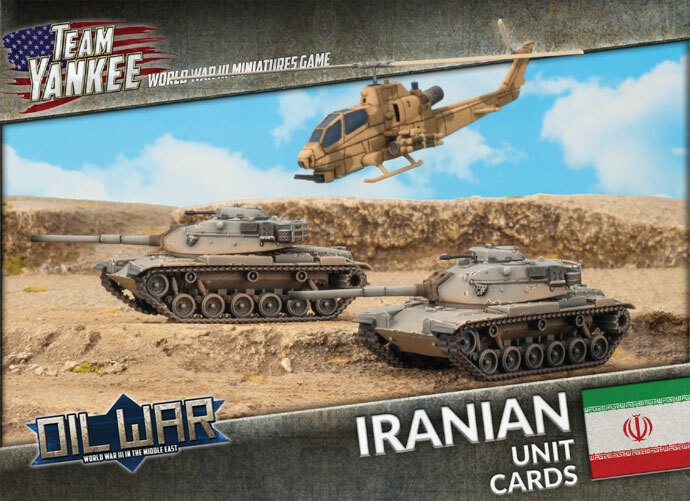 The Iranian Unit Card pack contains all the Iranian unit cards you will need to field your Iraqi force in Oil War.